Hey Babe, are you the type of girl who loves to make a Bold Statement with your accessories? 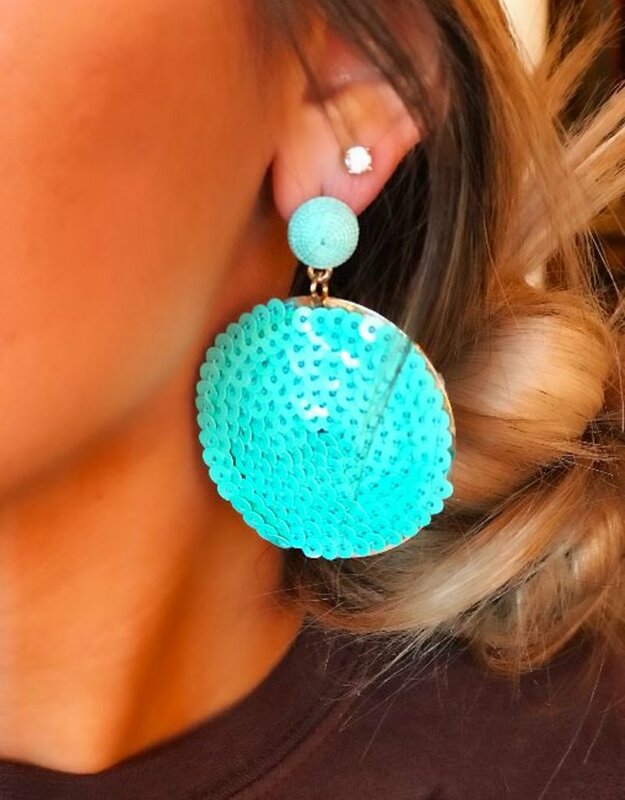 If so, boy do we have the perfect pair of earrings for you! 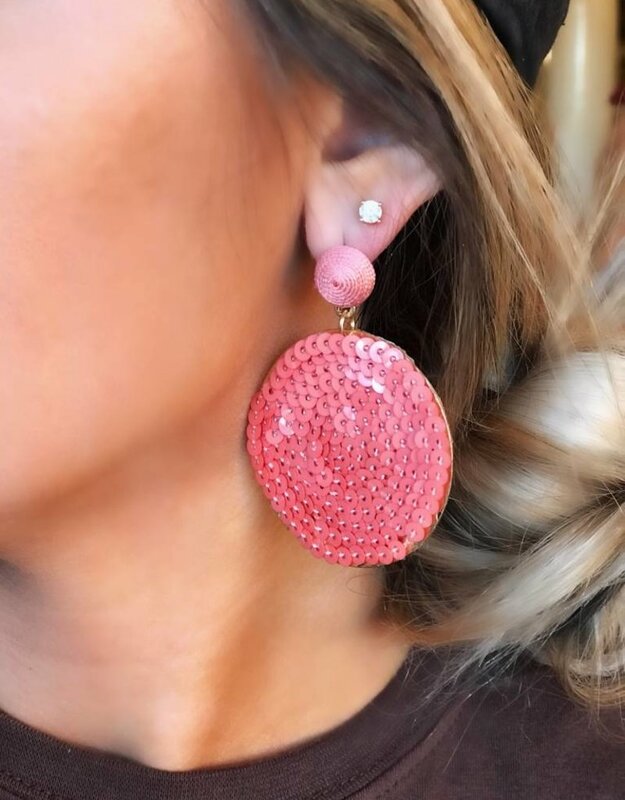 These round sequin statement earrings are so fun & flirty! They are such an easy way to dress up a look! Grab yourself a pair of these today!